The stupid kid was looking at the CAMERA ! Give him a couple of years. Let mum take the kid's picture !, I know who would get cropped. Which may affect the men. A girl went to enter the church in a see-through blouse. The priest stopped her and said, "You can't come in here dressed like that." She said, "I have a divine right." The priest replied, "You have a divine left, too, but you still can't come in dressed like that." My Dad had a roneoed copy when I was a kid. 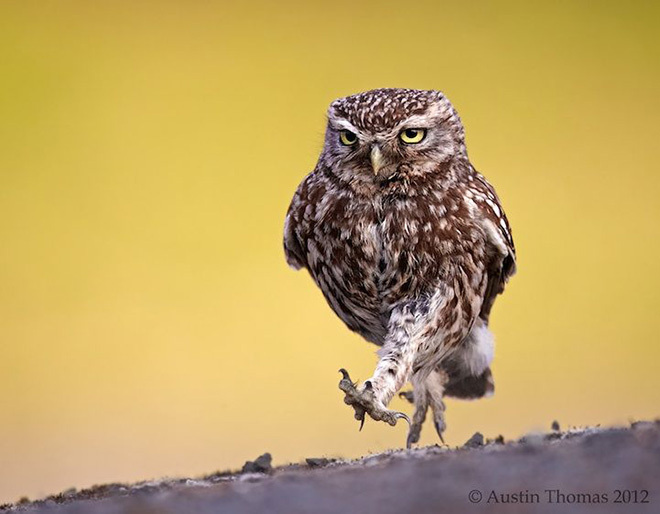 I've seen everything now - an owl Irish dancing. Looks like North Korean marching to me. My cousin wants to get onto "Dancing with the Galahs".